Located two hours outside of Denver, Breckenridge Ski Resort is one of the largest slope getaways in the region. 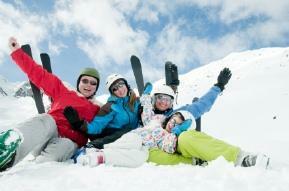 The popular ski resort has more than 1.6 million visitors annually. Visitors enjoy the location, snow and entertainment. The resort has a base elevation of 9600 feet and a top elevation of 12,998 feet. The vertical rise is 3398 feet. There are 772 bowls. The resort has the ability to produce snow on 565 acres. In total ski and ride terrain, Breckenridge makes up 2358 acres. People who visit Breckenridge often come from out of state. Those who are visiting for the first time can book their trip online and purchase lift tickets at the same time. Season passes are also available. Guests will find a full equipment rental facility with options for skiing, cross-country and snowboarding, among other needs. Breckenridge visitors find a variety of things to do locally. The resort offers lodging on site. There are several mountain-view hotels, condominiums and bed and breakfast facilities on property and nearby. The facility offers a variety of lodging options to accommodate most needs in budget and size. There are additional hotels located in the city of Breckenridge. Guests with smaller children can take advantage of the childcare and nursery facilities offered at the resort's hotels and other facilities. Ground transportation throughout the resort area and to and from the airport may also be available. For pricing information regarding Breckenridge's ski schools, visit the company's website or contact the resort directly. Booking a place in the ski school in advance is recommended especially for beginners. Individuals who are planning to visit the resort with a larger group may wish to contact Breckenridge directly to request available lodging and ski options. Special packages are often available. Businesses can also contact the facility to learn more about planning a conference at the ski site as well. To keep people busy and enjoying themselves, Breckenridge Ski Resort offers a variety of additional activities to enjoy outside of skiing on the slopes. In nearby Breckenridge City, shopping, entertainment and a variety of restaurants and specialty shops are available. Additional activities take place during the summer months when the park is open to visitors as well. To learn about events as they are scheduled, consider signing up for the park's email service. Breckenridge is a constantly evolving resort. To learn more about the latest activities or to learn about the current weather conditions, visit the Breckenridge Ski Resort website.